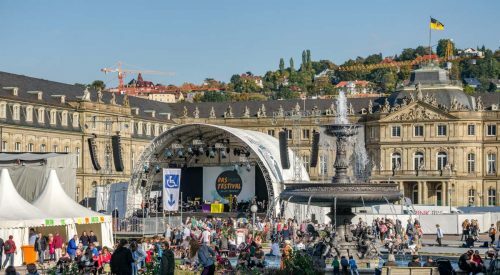 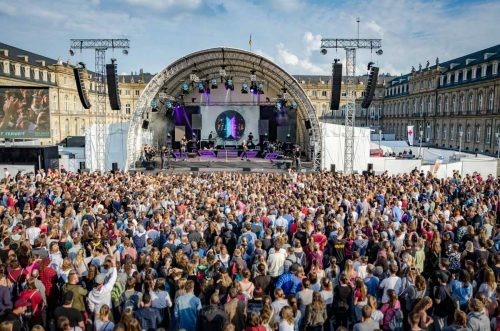 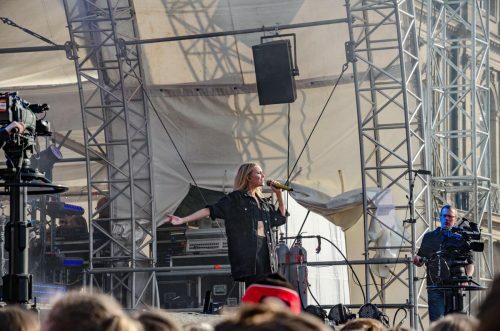 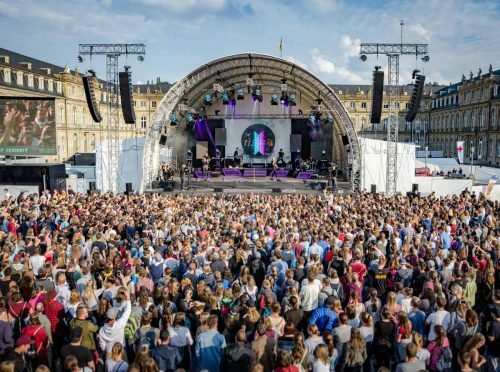 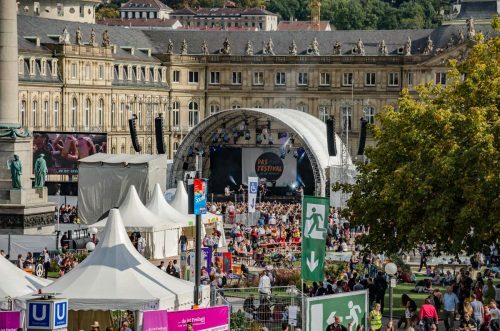 Drawing 8,000 people to Stuttgart’s Schlossplatz (castle square), was a festival that marked the 500th anniversary of the beginning of the Reformation with two days of live music, workshops and more. But with stars appearing on stage including electropop duo Glasperlenspiel and singer Laith-Al Deen, plus a speech by Baden-Württembergs regional prime minister, Winfried Kretschmann, it was imperative that the historic square was evenly covered with intelligible audio – a challenge that was met by a comprehensive TW AUDiO VERA36 and VERA20 sound reinforcement system. 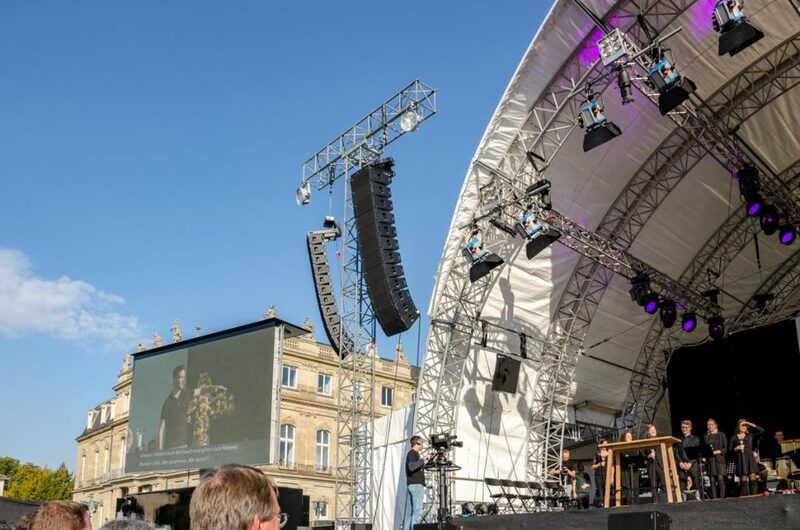 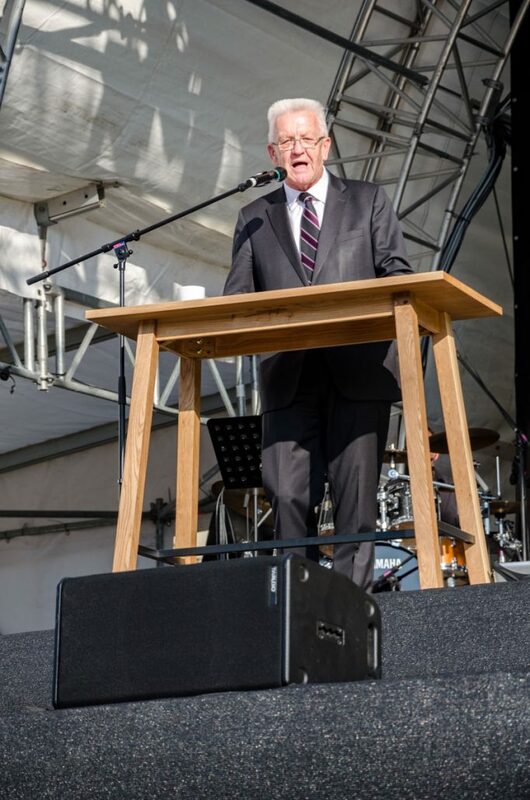 Special events have been taking place in Germany throughout 2017 to commemorate one of Germany’s most famous sons, Martin Luther, and his leadership of the Reformation. 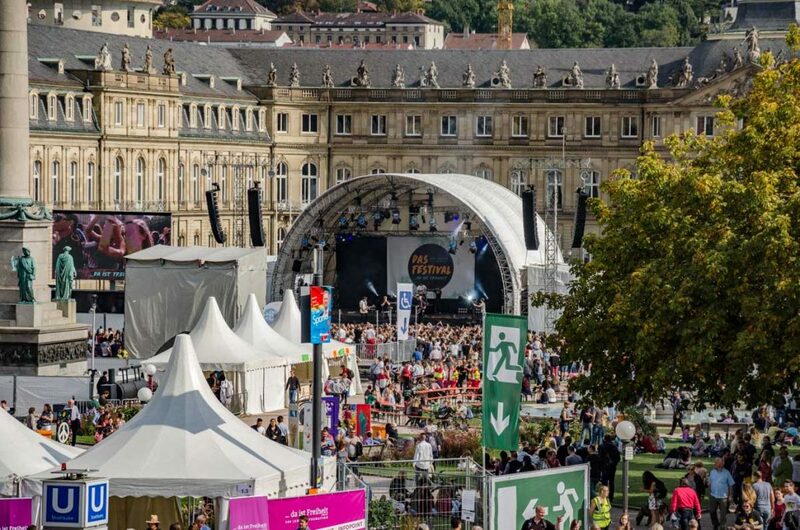 According to popular legend, on October 31st, 1517, the monk defiantly nailed his 95 Theses to the door of the Wittenberg Castle church, providing the spark that lit the torch of the Protestant Church. 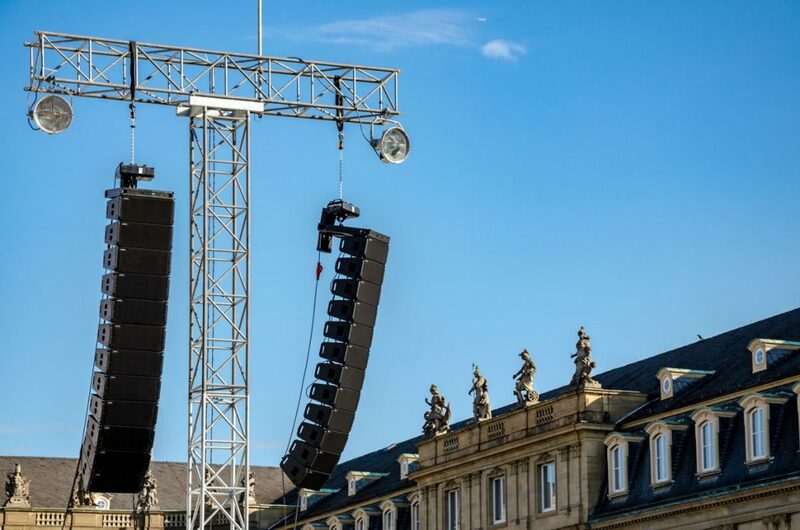 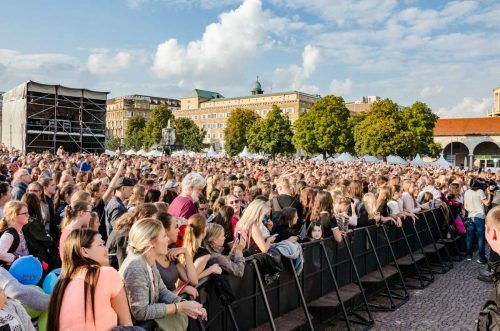 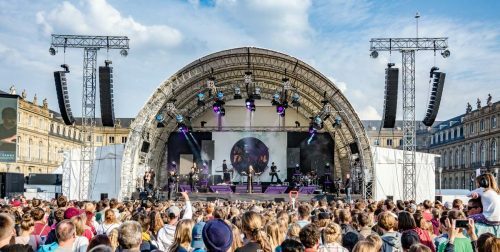 For leading rental and events company PML Veranstaltungstechnik’s Berthold Blocher, meanwhile, Das Festival… Da Ist Frieheit, which took place across September 23rd and 24th, presented a number of unique challenges, from the sheer volume of celebrations taking place, to the shape of the square itself. 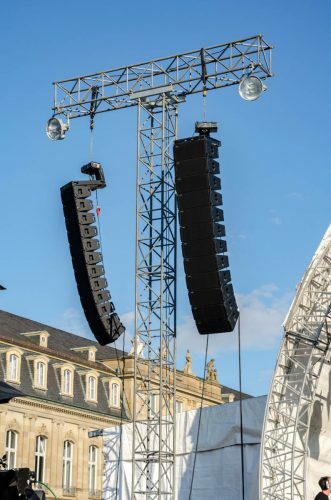 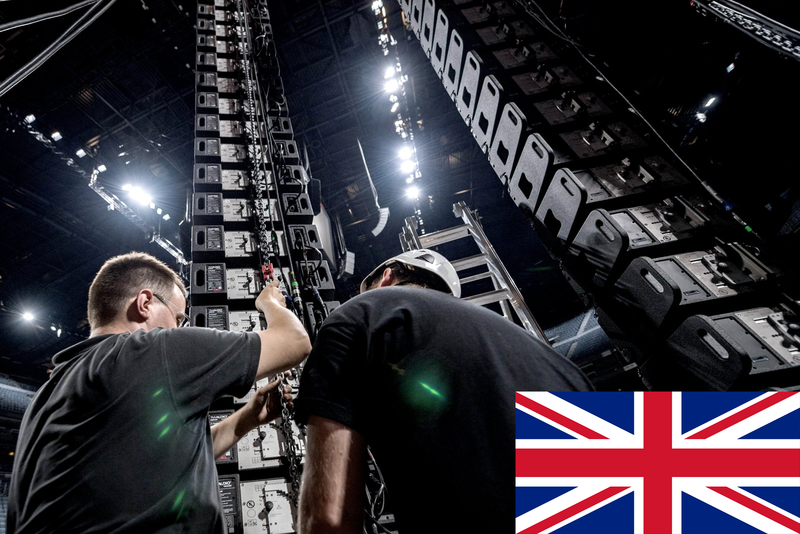 Providing the ideal solution was a front of house system comprising 12 per-side hangs of TW AUDiO VERA36 plus a near-fill system comprising 24 VERA20 elements flown 12 per-side. A further eight T20 enclosures provided front-fills while two T24N enclosures were used for side-fills. 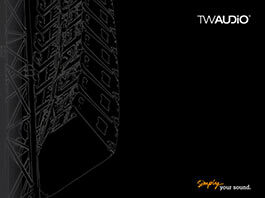 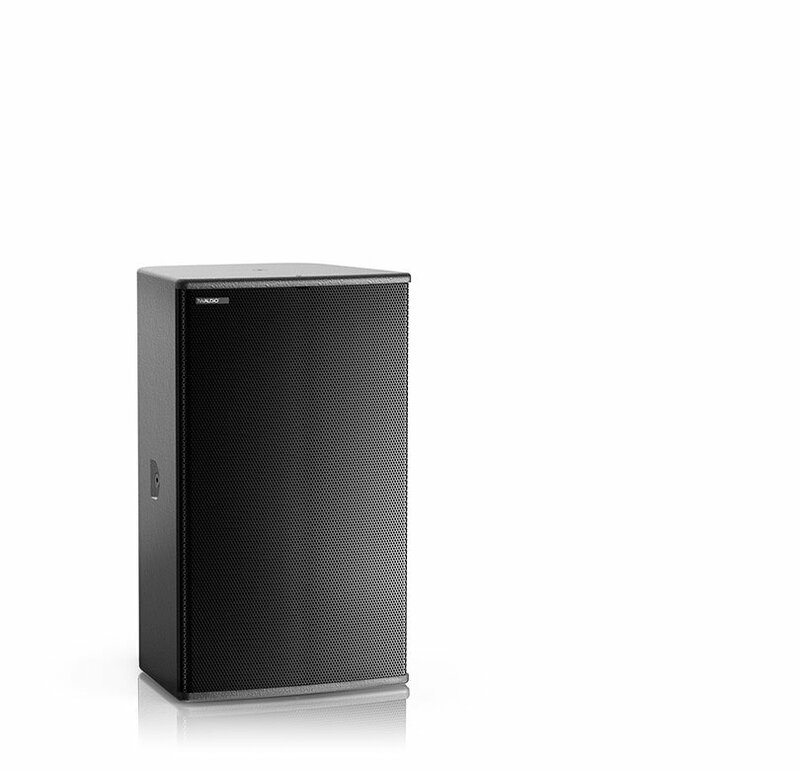 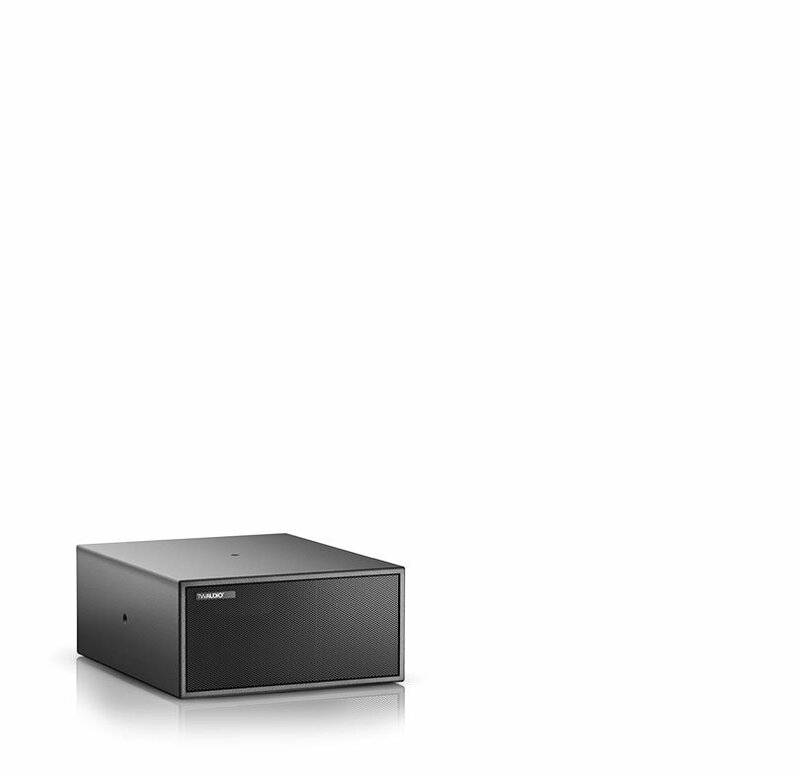 Low-end extension was courtesy of eight S33 subwoofers plus an impressive 12 BSX subs. For onstage sound, two B18s were used for drum-fills, while 12 C15 wedges provided artist monitoring. 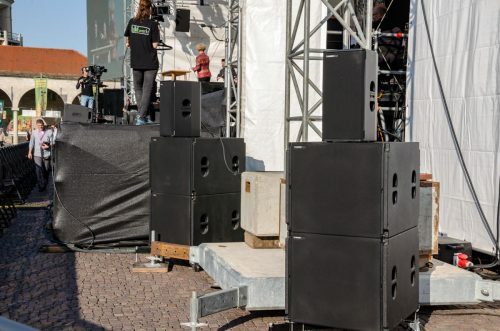 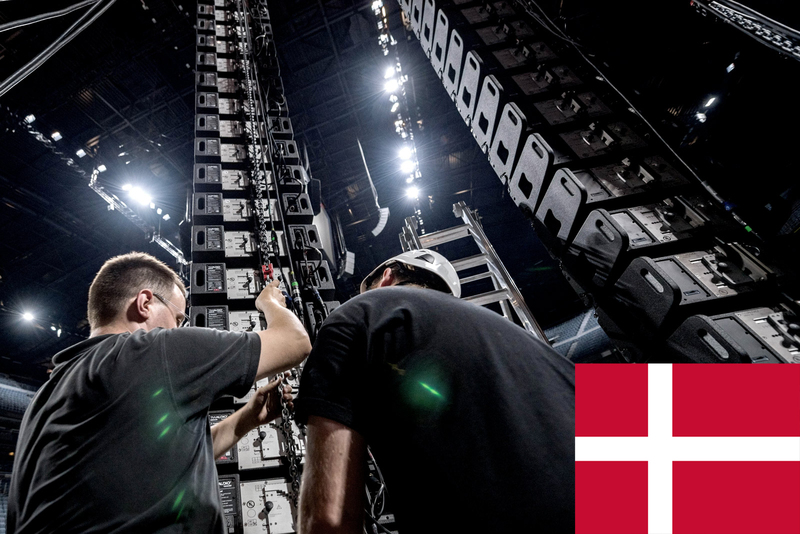 Power for the system was delivered by nine Lab.gruppen 20KQ, four Lab.gruppen 12K44 (used for the monitor system), and four Powersoft K3 amps.